For gravity-defying hair! Forget about regular conditioners that can weigh your hair down, experience the boosting abilities of our Full Bodied Leave-In Conditioner. 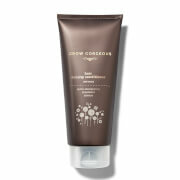 This serum based conditioner is air-light and gives hair a beautiful bouncy, soft texture. Plump up skinny strands for maximum volume. It’s time to forget about back-combing, with our touch-to-style technology, you tease hair into shape with a simple rustle of your fingers. Pea Peptides act as a film former to help build up and plump every strand for a gorgeous head of full and healthy looking hair. These hard working proteins continue to work over time ensuring your hair never falls flat. This unique cocktail of Amino Acids promotes luster and conditioning. The formula is modeled on the same Amino Acids of the protein found in cell membranes, which bind the hair cuticle and cortical cells together in hair fibers leaving your hair in fabulous condition. 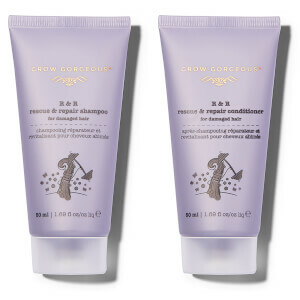 Low and medium weight plant-derived proteins work to condition your hair fibers inside and out giving you a boost in volume, whilst remaining air-light. After washing your hair with Full Bodied Shampoo, apply 3-5 pumps (depending on the length and thickness of hair) of the leave-in treatment to towel-dried hair. 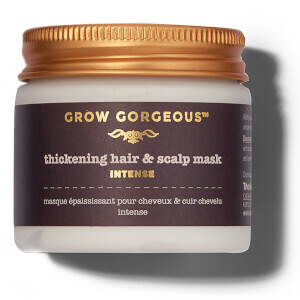 Rub it well between both hands and smooth through the whole length of hair. Blow-dry and style hair as normal. Wash hands after use. 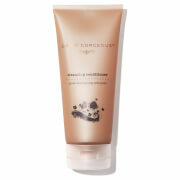 I like this conditioner, it has very gentle flower smell which does not mix with my main perfume. My hairs are short, and two pumps are enough. I spread conditioner on palms, apply on towel-dried hairs starting from roots to ends, and then style by hairdryer. Hairs get naturally looking volume, they are not greasy and don't stick together. My item didnt arrive and Grow Gorgeous do not answer my mails!!!!!!! I normally use volumising conditioners but they seem to be a waste of time and just weigh my hair down. 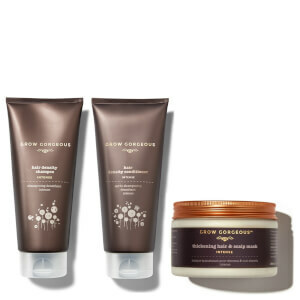 The leave in conditioner from Grow Gorgeous is amazing! My hair feels immediately plumped up but still quite soft and manageable. Want to use this every day!